Hip and knee replacements are the most common inpatient surgery for Medicare beneficiaries and can require lengthy recovery and rehabilitation periods. In 2014, there were more than 400,000 procedures, costing more than $7 billion for the hospitalizations alone. 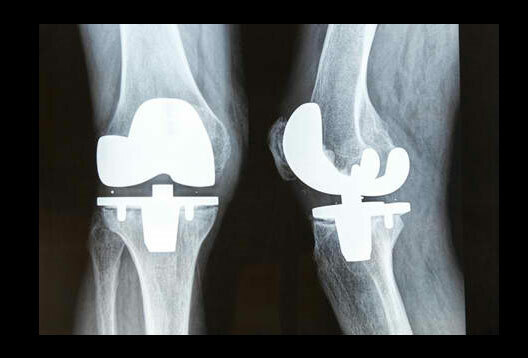 Yet, the quality and cost of care for these hip and knee replacement surgeries still varies greatly. For instance, the rate of complications like infections or implant failures after surgery can be more than three times higher for procedures performed at some hospitals than others. And the average total Medicare expenditure for surgery, hospitalization, and recovery ranges from $16,500 to $33,000 across geographic areas. This variation is due partly to the way Medicare beneficiaries receive care. Incentives to coordinate the whole episode of care – from surgery to recovery – are not strong enough, and a patient’s health may suffer as a result. When approaching care without seeing the big picture, there is a risk of missing crucial information or not coordinating across different care settings. This approach leads to more complications after surgery, higher readmission rates, protracted rehabilitative care, and variable costs. These are not the health outcomes patients want. The Comprehensive Care for Joint Replacement (CJR) model addresses low quality and high costs that come from fragmentation by promoting coordinated, patient-centered care. This model aims to improve the care experience for the many and growing numbers of Medicare beneficiaries who receive joint replacements, making the patient’s successful surgery and recovery a top priority for the health care system. Patients can benefit from their hospitals and other health care providers (e.g., physicians, home health agencies, and nursing facilities) working together more closely to coordinate their care. Coordination of care leads to better outcomes, a better experience, and fewer complications, such as preventable readmissions, infections, or prolonged rehabilitation and recovery. Beneficiaries will benefit from protections including: additional monitoring of claims data from participant hospitals to ensure that hospitals continue to provide all necessary services; continued protection of patient data under the Health Insurance Portability and Accountability Act of 1996 (HIPAA) and other applicable privacy laws; and patient notification by providers and suppliers. Further, all existing safeguards to protect beneficiaries and patients will remain in place. If a beneficiary believes that his or her care has been adversely affected, he or she can call 1-800-MEDICARE or contact his or her state’s Quality Improvement Organization (QIO) by going to http://www.qioprogram.org/contact-zones. If concerns are identified, CMS will initiate audits and corrective action under existing authority. Patients can continue to choose their doctor, hospital, skilled nursing facility, home health agency, and other provider, but now with the CJR model, their providers have incentives to better coordinate their care. From surgery to recovery, patients can receive more comprehensive, coordinated care from their providers focusing on the most appropriate options for their recovery and rehabilitative care. CMS has learned from other models and projects already underway and has incorporated successful design elements from other initiatives into the CJR model design. The CJR model also reflects best practices in the private sector. Under this model, the hospital in which the hip or knee replacement and/or other major leg procedure takes place will be accountable for the costs and quality of related care from the time of the surgery through 90 days after hospital discharge—what is called an “episode” of care. Depending on the hospital’s quality and cost performance during the episode, the hospital will either earn a financial reward or, beginning with the second performance year, be required to repay Medicare for a portion of the spending above an established target. This payment structure gives hospitals an incentive to work with physicians, home health agencies, skilled nursing facilities, and other providers to make sure beneficiaries receive the coordinated care they need with the goal of reducing avoidable hospitalizations and complications. Hospitals in the model will be provided access to additional tools – such as spending and utilization data and sharing of best practices -- to improve the effectiveness of care coordination. The model also gives providers additional flexibilities that are not otherwise available under Medicare so they can better manage the care of patients, including patients who are at home. By “bundling” payments for an episode of care, hospitals, physicians, and other providers have an incentive to work together to deliver more effective and efficient care. This model is being tested in 67 geographic areas throughout the country, and nearly all hospitals in those geographic areas are required to participate. Lower extremity joint replacements are the most commonly performed Medicare inpatient surgery, and utilization is predicted to continue to grow. These surgeries can require long recoveries that may include extensive rehabilitation or other post-acute care, which provides many opportunities to reward providers that improve patient outcomes. By including all eligible hospitals in 67 geographic areas across the country, this model drives significant movement towards new payment and care delivery models for an important set of conditions and surgeries for Medicare beneficiaries. This model supports HHS efforts to transform the health care system towards one focused on better quality care, smarter spending, and healthier people through care transformation and payment reform.